Depends on the type of job you look for. It is quite easy to obtain a low income job in a non qualified activity. However it is not difficult to obtain a “HIGH SALARY JOB” for an aspirant with good command over English & French and experience in the specific field. MEDIUM SALARIED JOBS (Between 2 - 4 minimum hours of work, a minimum of CAD20 to CAD40 is paid) Canadian job market for this choice of wages is extremely aggressive. Job positions demands people with excellent communication skills, good education, training and experience in the specific field. 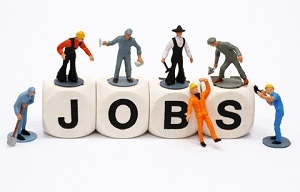 Attaining a job in skilled worker category is difficult without NETWORK. HIGH SALARIED JOBS (CAD 41.00 paid for higher than 4 minimum Hours) Canadian Job Market with this range has high demand for communication skills, education, experience and training. Computer Programmers and Operators, Food Technicians, Refrigeration and Air Conditioning Technicians, Gas Technicians are few of the job categories in demand.